Llyn Y Gors itself translated literally, it means lake in the bog or marsh. It appears on original Ordnance Survey maps as a marshy area covering part of what is now the Old Carp Lake and the adjoining land. The marsh is still there, attracting countless species of birds, butterflies, wild flowers and other forms of wild life. 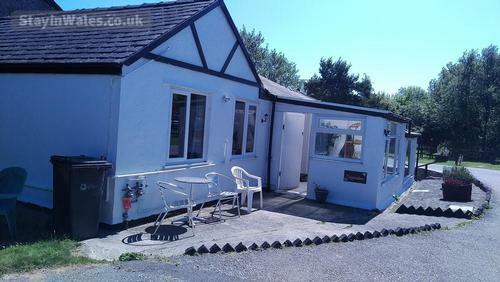 The fishery itself caters for specimen and pleasure anglers who look on angling as a means of pure relaxation. You won't find hundreds of pegs for match anglers here. 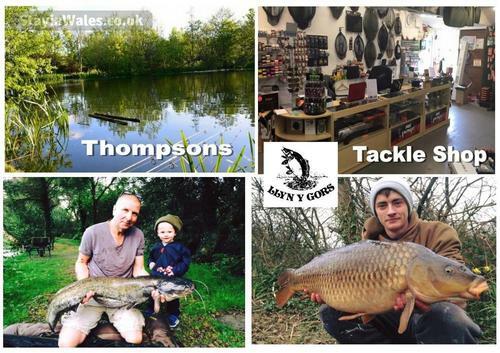 What you will find is choice: track down a 30lb plus carp, catfish to 45lb or pike to 25lb in our specimen lakes, fish virtually outside your own caravan on the Match or Pleasure Lakes where 100lb plus bags are the norm in summer (records for both are 173lb plus) or teach your kids to fish on the Lilypad Lake. Our self catering accommodation is only a stone's throw from the lakes, and useful as a base to explore Anglesey and Snowdonia. Little Acorn - a four-berth detached stone-built cottage with full central heating: Sun lounge/diner, lounge, kitchen, bathroom with shower, bedroom with double bed, bedroom with twin beds. 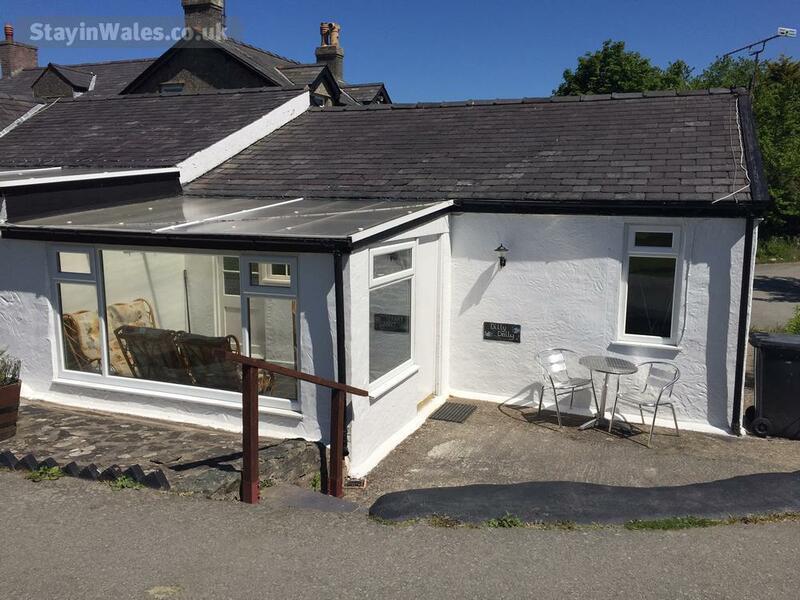 Dillydally - a four-berth semi-detached stone-built cottage with full gas central heating: Sun lounge/diner, lounge, kitchen, bathroom with bath and shower fitting, bedroom with double bed, bedroom with twin beds. Dappledown - a five-berth semi-detached stone-built cottage with full gas central heating, ideal for two couples: Sun lounge, large kitchen/diner with additional appliance - washing machine, lounge, bathroom with bath and shower fitting, bedroom with king size bed and a single bed, bedroom with twin beds. Cedar Lodge - a six-berth wooden chalet overlooking the carp lake with full gas central heating: Spacious, sunny lounge/diner, kitchen with fridge and freezer, bathroom, bedroom with double bed, bedroom with twin beds, bedroom with single bed and futon in the lounge/dining room. All bedding is provided in the accommodation and weekly fishing permits (dawn to dusk) are £30 for the Lilypad/Match/Pleasure and £40 for the Karpium. Night fishing is available at extra charge. 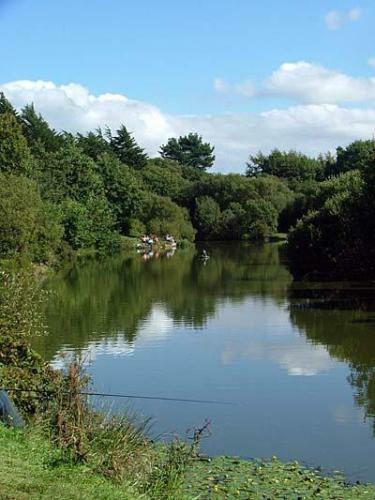 We also cater for Tourers in this idyllic location between the Pleasure Lake and Match Lake. 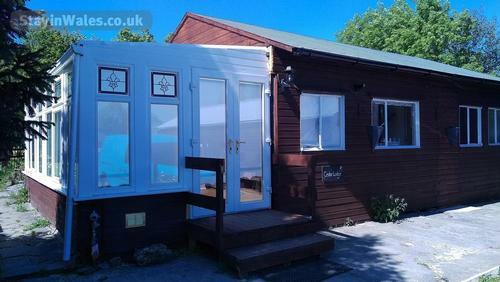 Could you get your caravan closer to your favorite fishing water than this? And with a hook-up? But say you don't want to be on the bank in full view of everyone. No problem. We also have sites with hook-ups tucked away in the hedgerows with more privacy. 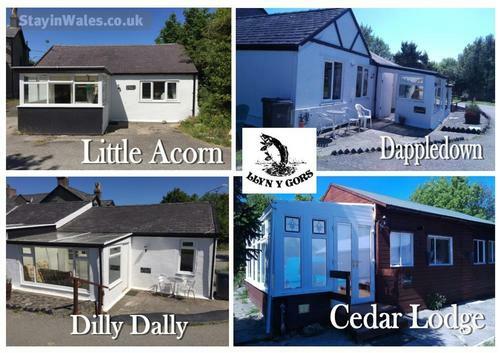 At Llyn y Gors you can be as sociable or as private as you like. Many of our visitors come to "chill-out" from their stressful working lives - some every weekend. And many new friends are made with the other like-minded anglers on our camping field. Facilities include showers and toilets, water taps and of course our huge tackle shop stocking everything you could need to fish our lakes. Sites for tourers must be booked in advance as we restrict numbers to prevent overcrowding - especially at Bank Holidays and during August. A site for a tourer is £per night (electrical hook-up additional £5 per night). A day-ticket rate of £10 per day to fish for the Match and Pleasure Lakes or £12 per day for the Old Carp Lake. Night fishing is available at additional cost.